Denton Bible Church started as a church with very humble beginnings. Through constant prayer, faith in God, and abundant grace, Denton Bible Church has introduced many people to Jesus as well as deepened their faith with biblical teaching and discipleship. As you read the history, we hope you will become part of the future of Denton Bible Church. People new to Denton Bible Church often assume our roots go back to our beloved pastor, Tom Nelson. They don’t realize that assumption is similar to assuming that grocery store oranges originate in those cute little red mesh bags. Pastor Tom’s own roots do indeed lie deep in DBC, but the life of Pastor Emeritus Mel Sumrall and his philosophy of ministry provided the soil where DBC was engendered. Mel’s story shows how, in all seasons of life, God can accomplish His will through those who plant and through those who water, while He alone gives the increase. This history is dedicated, with gratitude and praise, to the Lord of the harvest, to Mel and Patty Sumrall, to Tom and Teresa Nelson, and to all the hard-working saints they have discipled and equipped for ministry. At first glance, Mel Sumrall, the founding pastor of Denton Bible Church, may to most seem unexceptional. Of average height and build, once dark hair now silvered and eyes a bit dimmed by time, he blends into a crowd more than he stands out. His pleasant, open demeanor, competent air, and kindly, tenor-range voice make him the sort of person a stranger in need of directions will instinctively approach. But to those acquainted with this ex-Marine’s adventurous spirit, wildly imaginative entrepreneurial bent and completely uninhibited faith, Mel is anything but unexceptional. “Nothing in my life has happened apart from the will of God,” he insists. “I kinda think He’s had His hands on me from the day I came out of the womb.” Mel cites Psalm 139:13-16, “For You created my inmost being; You knit me together in my mother’s womb… All the days ordained for me were written in Your book before one of them came to be” and adds “…because He Himself gives all men life and breath and everything else…and He determined the times set for them and the exact places where they should live” from Acts 17:25-26. Before the planting of DBC could begin, God worked in Mel’s life as one might work to break up hard Texas sod. Melvin R. Sumrall was born in 1925 in the Texas Panhandle town of Wienert, to parents whose Depression-era struggles barely kept their family of six going. Mel remembers a loving but desperately poor home life. “We had absolutely nothing,” Mel states flatly. “I can still see my mother sweeping a dirt floor, trying to keep it clean.” The family moved often in search of work, sometimes seeking out abandoned or condemned houses for shelter. Mel recalls watching his resourceful father use copper wire and an ice pick to re-sole shoes for them. He speaks admiringly of the man’s dogged persistence at all kinds of jobs (when any jobs were available) to keep food on their table. The frequent moves and a lack of good clothes made family church attendance rare, but they went when they could. Mel’s memory is still vivid of the moment he heard a Baptist Sunday school teacher explain the gospel to her class. The eight-year-old boy’s hand shot up when she asked if anyone wanted to accept Christ and Mel was baptized that evening. He speaks with wonder of that lady’s impact on his life, one end result of which is DBC’s existence! Mel declares he never doubted his salvation, but if he had, it would not have been surprising. For years, he had no real encouragement to pray or memorize scripture, no one to help him grow in his faith as he grew into a man. Mel firmly believes God needed to get his attention in order to teach him a fact few of us readily accept: we need God, not just to be ready to die, but to be ready to live. Mel’s father never finished grade school, so he urged his children to do well in school and get as much education as they could. Before Mel reached high school age, his father died, leaving behind a son determined to better himself. At 17, Mel joined the Marines and spent the rest of World War II in the South Pacific. When the war ended, he entered the University of Colorado on the G.I. Bill to major in mechanical engineering. Mel met the gentle lady he still calls “my sweetheart” his first week there. “I saw Patty standing in the registration line and was just swept off my feet!” he exclaims, eyes twinkling. He was delighted to find she had a good mind to go with her dainty good looks. Among students of their year, the lovely Pueblo, Colorado, native finished third in engineering physics. Mel and Patty married at the end of their freshman year, 1946. With a B.S. in engineering and an ethic for hard work, Mel soon drew an excellent salary. He describes himself then as “driven.” He relates quietly, “I sort of felt that I was a nobody.” By age 38, the “nobody” was a production supervisor in a large southern Colorado steel plant that employed 9,000 workers. Mel, Patty, and their children, Laurie, Jerry, Susan, Karen, and nine-month-old Pamela, enjoyed everything Mel’s boyhood family had lacked: stable work, good income, nice clothes, a comfortable home, and a respected standing in their community. While their eldest children were tiny, Patty started attending a neighborhood church. After services one Sunday, she told Mel the preacher had said anyone could have a personal relationship with Christ. It didn’t sound complicated. All you had to do was admit you were a sinner in need of forgiveness, accept His death as free payment for your sin and trust His resurrection as your assurance of eternal life. “Would it be OK if I did that?” she asked. Mel told her of course, he didn’t mind, because he was a Christian as well. Then he was shocked to realize this was the first time he had ever given a thought to his wife’s faith. Patty affirms Mel had been living the life of a godly man, but faith in Christ was something they’d never before shared. Then came the time when God plowed and harrowed the soil of Mel’s life so deeply that only He could have gotten them through the pain of it. Baby Pamela had seemed unwell, so Patty got her ready for a routine doctor’s appointment. Mel’s simple words share the horror that followed. “Patty took our youngest daughter to the doctor about 10:30 that morning and we watched Pamela die that afternoon.” An autopsy showed an unusual viral infection had attacked their little girl’s heart, quickly destroying the tiny muscle. The years following Mel Sumrall’s time of discipleship with Ron Chadwick were certainly years of growth, but it was the kind of imperceptible growth that makes a farmer’s child stare disappointed at a planted field and say sadly, “Daddy, nothing’s going on.” Mel worked at the steel mill, read his Bible, served the Lord, loved his wife and helped raise their children, while below the surface, under the busy routine of his life, certain roots, a planting of the Lord, strengthened daily. At times, when Ron’s oft-repeated comment about the ministry came to mind, Mel thought of how he might approach such a task. Thinking back over 30 untaught years, and now seeing the difference that just 18 months of Ron’s help and encouragement had made, he knew if he ever had anything to do with church leadership, he would see to it that discipleship was a major emphasis. He found 2 Timothy 2:2, “And the things you have heard me say in the presence of many witnesses entrust to reliable men who will also be qualified to teach others.” In this verse, God strengthened the first root of DBC’s future health and growth. But at other times, the thought of Ron’s comment brought deep misgivings. Memory showed Mel the bitter picture of his father weeping when he couldn’t find enough work to provide for his family. Should he start all over in a totally new, drastically different field? Surely he was too old to even consider such a thing. Did he dare, at his age, to leave a position with good benefits and certain advancement? Wasn’t his life nearly half over, his time for any major change wasted? Mel discovered, during ten years of struggle over such a drastic idea, that God wastes nothing. No season of his life could ever be without purpose, so long as God was in charge of it. Thirty years in business taught Mel something many church leaders apparently didn’t see. At the steel mill, Mel delegated tasks, trained workers, and expected the help of colleagues and subordinates. “I had so many people to help me get the job done. But then I go see my pastor during the week and he’s doing everything himself. I used to ask the Lord, ‘How come You didn’t give the pastor somebody to help him’?” In Ephesians 4:11-16, with its wonderful list of believers’ gifts, God showed Mel the phrase that would become the second of DBC’s scriptural roots, “…equipping of the saints for the work of the ministry, to the building up of the body of Christ.” Mel studied the words. He recalls thinking, “Well, shoot, we’re doing church all wrong!” He determined that if he ever had anything to do with church leadership, he would be sure to emphasize getting the folks in the pews involved, by equipping the saints for the work of the ministry. At 48, an age when most people start dreaming of early retirement, Mel answered the call of God on his life by quitting his job and transplanting his family from Colorado to north Texas. He entered Dallas Theological Seminary to work toward a four-year Masters of Theology degree. His goal: to pastor a church. As a freshman, he wondered what his much younger classmates would think of him, but as Patty fondly declares, “The guys just loved Mel.” President of his class the first two years and student body vice-president in his third year, Mel gave all the youngsters a run for their money. God was about to show what He can do with a yielded “half-over” life. Mel had the roots for his future pastorate in mind: discipleship and equipping of the saints. There was just one problem. “I couldn’t find a church that would let me do that. I thought, well, I’ll just have to start a church.” During his final DTS year, he spent weekends in Denton trying to do just that. It was no easy task. Student loans would come due soon and as he recalls, “I had no salary, I had no people, I had no place to meet.” Mel tenderly honors Patty for teaching to support the family while he finished his degree and worked at planting a church. She taught for nine years at Trinity Christian Academy and meanwhile worked alongside her husband as he fed and watered the little green shoot that was DBC. Mel started to work the same way the Lord did, with twelve people, meeting wherever they could. One of their first meeting places was a renovated fire station known at the time as The Firehouse Theatre. This building, now called City Hall West, still stands at the southwest corner of Elm and McKinney in Denton. The room they used was so ill-lit they could barely see their Bibles. Then for a time, since many of the first DBC attendees were students, they met in places on or near what was then the North Texas State University campus, now the University of North Texas. Finally the growing flock migrated north to the Optimist Gym building on the north side of Highway 377 near Riney Road. The earliest arrivals for weekly Sunday services had to sweep out litter and pick up bottles and cans before they could set up chairs. By this time attendance had grown to around 100 people, mostly single college students, with a smattering of older folk and a few families. Many of the students were music majors, so the music provided for worship was usually varied and excellent, though financial contributions from this source resembled the widow’s mite. The little congregation did not “pass the plate” for contributions. Instead, weekly offerings were dropped into boxes or Styrofoam ice chests set by the doors. (This custom is still honored at DBC. Today, offering boxes of polished wood are affixed near all main sanctuary doors, but the traditional Styrofoam ice chests, to collect “cold cash” on announced fundraising Sundays, still make an appearance now and again.) Special leadership team members counted the money, paid the bills, and then gave Mel and Patty what they could. Mel never knew (indeed, no DBC pastor has ever known) who gave or how much. Mel loved and taught his people and the green sprout of DBC unfolded leaves, feeding from the scriptural roots of discipleship and equipping. One Sunday morning, Mel’s congregation welcomed some older couples who were visiting area churches in search of one to call home. As he chatted with them and got acquainted, he heard enthusiastic praise for the teaching ability of a young man, a seminary student attending Mel’s own alma mater, whom they’d heard during their visit to another Denton church. They recommended him to Mel, not only as a pretty good speaker but also as a man of character and integrity. Mel listened with interest. The young man’s name, they told him, was Tommy Nelson. A gardener may, for reasons of his own, decide to relocate a plant. He’ll water and feed it well to strengthen it, meanwhile clearing weeds and turning soil to prepare a new site. When he uproots the plant, it may experience shock, almost a death, but with care, it soon takes hold in its new place. Not long after Mel Sumrall’s little group of twelve people came together to form the first DBC congregation, Tommy Nelson matriculated at Dallas Theological Seminary and took a job leading the college class for a Denton church. The tall, powerfully built Waco, Texas, native came to faith while attending NTSU (now UNT), where he played quarterback for the Mean Green until injury halted what might have proved a promising gridiron career. A campus Christian group was doing evangelism in the dorms and someone knocked on Tommy’s door to share the gospel with his roommate. The roommate wasn’t interested, but Tommy overheard life-changing words. Later, alone, he prayed to receive Christ. A Campus Crusade for Christ leader discipled the eager new Christian, who was so fascinated by what he was reading in his Bible that he could hardly bear to put it down. Involvement in Campus Crusade also had a life-changing affect on Tommy. It was through CCC activities that Tommy was introduced to his wife Teresa, a vibrant Texas beauty with emerald eyes, a tender heart for the Lord’s kingdom work and a sharp mind for practical organization. As college leader for a mainline denominational congregation, Tommy thrived like a well-watered plant. His delight in scripture caused his spiritual gift of teaching to bloom. His work grew, and by the time Mel’s DBC congregation began meeting in the Optimist Gym across town, regular attendance at Tommy’s college class matched and often exceeded the entire attendance count of Mel’s little church. “He wasn’t a sly and slick semantic liberal,” Tommy relates, “he was a bold infidel.” The new pastor cast doubt on scriptural integrity and denied Christ’s virgin birth. “I simply couldn’t co-habit,” Tommy explains. Leaving the place where he had grown in ministry felt like a death, but the Master Gardener didn’t leave him uprooted for long. When Mel asked Tommy, “Do you think you could come work with us?” Tommy’s reply was another question, a question that a responsible young husband and father just had to ask. “Can you pay me anything?” The little congregation’s leadership team was at first a bit reluctant to agree on an equal share of salary between a green seminary sprout and a Masters of Theology graduate who, though admittedly new to a pastorate, was seasoned like an oak by life. Mel insisted, “Tommy makes exactly the same as I make.” At the time, neither man made very much! New ground had been prepared to receive Tommy and Teresa and the transplant to the place of God’s choosing was complete. The young couple found a house to rent on Denton’s north side near their new church’s meeting place. Tommy, Teresa and baby Benjamin moved in right next door to the Sumrall’s modest home on Selene Street and a rare partnership of faith began. Gardeners and farmers are visionaries. Before a field shines golden with wheat, before a vineyard diffuses its rich scent, someone must have a vision for new ground. Someone must be able to see not just what is— a weedy meadow, a tangled hillside— but what is possible. Tommy Nelson calls Mel Sumrall “a visionary, an idea man,” but the same can be said of Tommy. 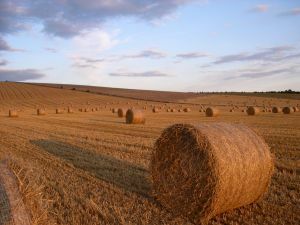 Each man’s vision, however, differs in type, as a wheat field differs from a vineyard. Tommy’s vision is for biblical truth made accessible and unforgettable, a teacher’s vision that sees, between a Bible’s bindings, the pageant of human history under God’s sovereign hand. Mel’s vision has always been that of a pioneer. Like Jesus, he sees the fields are “white already to harvest” (John 4:35) and the laborers few and his love for the lost blazes yet another trail for local or global distribution of biblical truth, starting with whoever he’s on the phone with at the moment. Mel was never satisfied to be a typical clergyman and he never accepted a typical church full of “pew-sitters,” spiritual spectators. He believed, and still believes, in getting as many laborers as possible into those white fields. He dared to structure ministry in non-traditional ways, and encouraged his people to join in and do the same. In fact, he fostered a congregational climate that in part explains the unusually wide range of ministries that have grown up at DBC over the years. Tommy says of Mel, “He liked to forge ahead. He was Daniel Boone.” It was Mel who embarked DBC on the “Evangelism Explosion” program. He was one of the first trainers, accompanying nervous church members as they knocked on neighborhood doors to present the gospel. Mel exemplified lifestyle evangelism before the term was popular. Teresa Nelson fondly recalls, “Everything he asked anybody to do, he did it, too.” At an age when others make plans to sit on a porch and rock, Mel routinely rocked the house with new plans to equip the saints, as enthusiastic and energetic as any kid in the congregation. 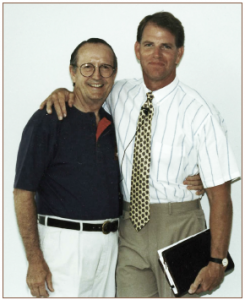 In Tommy, Mel saw not merely a gifted speaker, but one with the spiritual gift of teaching. He put his young partner in the pulpit almost immediately. Soon they were alternating weeks, plowing in tandem through Romans and other seldom-turned scriptural soil, in spite of the fact that, at the time, Tommy was still in seminary, sometimes returning from class to teach what he had just studied. Tommy and Teresa found in Mel and Patty a mentoring couple who worked as a team to share their faith. The Sumralls were also an extra set of grandparents for sons Benjamin and John Mark. One winter two-year-old Ben left tiny prints in a light snowfall in his quest for “Mr. Pat,” his name for Patty. Teresa, missing the toddler in the house, tracked him to the Sumrall kitchen and found him blissfully eating bananas with his friend. Tommy saw Mel pouring his life impartially into others, regardless of age or status. “Mel would never play favorites,” Tommy emphasizes. “If you were a high school kid, he’d get with you. If you were an old man, he’d get with you.” Following Mel’s discipleship example, Tommy began to disciple and teach young single men. At one point, after he and Teresa moved to a newer home on Tulane Street, they made space to take a few young men into their home. (“Tommy’s Guys” especially appreciated Teresa’s motherly care. One year on Mother’s Day, Teresa entered her kitchen to find a huge vase of rosebuds and an accompanying card from her young houseguests that read “For all you do, these buds for you.”) When Tommy’s 2005 group, by then called the “Young Guns,” finished his discipleship program, the lives of more than 600 men had been touched. To Tommy, Mel was, “a hero that had done everything,” a Marine war veteran, a successful businessman, and the father of grown children. Mel had buried a child and come through the agonizing depression that followed. In the summer of 2006, God used Mel’s long-ago struggle again when a sudden, severe physical setback sent Tommy into a depression. Who better to help him through the dark than a man who had known the same darkness? Then Mel described another time of weeping after a similar call from Tommy. “Tom said, ‘I’m gonna quit. I’m done, I’ve had it,’” and Mel replied, “Come on now, Tom, things are gonna be alright. We just have to look to God and pray and pray and pray.” And so they did. “Together, we worked well,” Tommy affirms. “We never made a decision without each other. The things we planned didn’t necessarily fail. Some of them worked exquisitely. But the things God did unexpectedly, those were the things that always worked. We learned not to quench the Spirit.” God blessed the partnership, using each man’s unique vision to turn new ground for DBC. 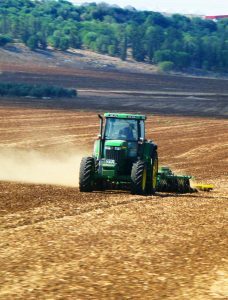 In Christ’s parable of the wheat and the tares, the sower planted his own field, but in the parable of the soils, the sower “went forth to sow,” perhaps on land foreign to him. Mel Sumrall and Tommy Nelson have devoted their lives to Christ’s work, here and abroad. Of the two, Mel is the one who has most often worked on foreign soil. In 1979, two years after Tommy joined Mel, DBC outgrew the Optimist Gym, where Sunday school space had been the bar, the nursery, and a broom closet. The congregation rented Camp Copass, a rustic church camp east of town, while seeking permanent space. Tommy relates, “We tried seven different places and it fell apart seven times, until we got this property,” the 3.3 acres where DBC’s first sanctuary, now the Sumrall Center, still stands. Teresa declares, “God kept us from buying any other place,” and Tommy ruefully adds, “It was just covered in briars, hackberries; you literally couldn’t get onto it. You had to cut your way in.” The church prayed and marched around land untouched since the 1940s, like the Israelites around Jericho. This same spirit of togetherness was displayed as they raised funds and built their first building. They had garage sales, bake sales, and even took out personal loans to contribute to the effort. Some college musicians hocked or even sold their instruments to help. People “vacationed” with saws, hammers, paintbrushes and sheetrock. The building’s first service, Easter 1981, was lit by a single bare bulb above a cement floor, but DBC at last had a home rather than a temporary address, the building later known as the Sumrall Center. By 1986, nine years after Tommy stepped into DBC’s pulpit, Mel stepped out of it. He wanted to strengthen Tommy’s ministry and knew the younger man’s love and respect for him made it tough to make decisions without deferring to him. He also knew Tommy was more than able to shoulder the entire teaching responsibility. “I thought, I’ve gotta get off the scene,” Mel explains. He was 62, near retirement age, but Mel wasn’t big on retiring from something. Instead, he cultivated the art of retiring to something. Within a year of leaving the pulpit, Mel opened the DBC Missions department (which eventually developed into DBC’s current sending and outreach agency, SERVE) and an already outreach-minded church began thinking globally. When Mel “went forth” to foreign lands, he seldom went alone. Mel took Patty with him whenever possible, exemplifying a godly marriage and ministry partnership to cultures where women were considered mere property. Together, this “retired” couple witnessed and taught in over 40 countries. Unfamiliar ground was sometimes scary, as when the Sumralls visited Bagio City, the Philippines, while Mel taught at a Campus Crusade seminary. The Philippine government was considering lease renewals for two large American military bases. In protest, the powerful Communist party formed terrorist hit teams, each with three armed men called “sparrows.” The Sumralls learned sparrow groups had just killed American sailors in Manila and intended to target two more Americans – in Bagio City. As the Sumralls neared a high wall by their ride stop, another man approached. “He’s maybe as far as 20 feet and he’s got his right hand in his pocket. Had on a blue jacket and it was a warm morning, no reason to have a jacket on at all, except to hide his gun. I could see he was coming right straight at us and I yelled out to him, ‘Good morning son, how are ya?’ and he stopped. “Being a Marine, I’ve seen a lot of fear in people’s faces. But I’ve never seen anybody look like he looked that day. He’s coming at us and he sees something that he can’t bear to look at. I have no doubt the Lord put something, or someone, between him and us.” The Sumralls saw his head turn sharply aside, his face exhibiting “total fear and astonishment.” They saw him step back, start at them again, turn away the other direction, then abruptly leave, running. The man in the field, possibly a lookout, fled with him. They spent part of that day at the American embassy viewing photos to help identify the men. Mel not only took his wife to foreign lands, he took anyone he could pray, advise or persuade into going. Few returned unchanged. You can almost warm your hands at Mel’s love of Christ. Fueled by a servant’s heart and the nerve of a soldier on reconnaissance, he lit fires for evangelism, fires he still stokes as men he’s discipled come home on visits from domestic and foreign fields. A standing DBC joke was “Mel loves you and has a wonderful plan for your life!” A young single man, an avid amateur photographer, met Mel one day for lunch. Not many months later, that same young man, camera in hand, was on a mountainside in Nepal, taking photographs for a DBC missions team. Warning: Close association with Mel (or with his Master) can be dangerous to the complacent. 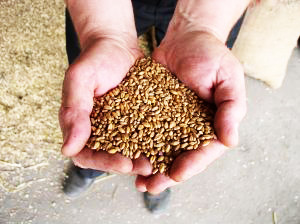 Grains fall from the sower’s hand into familiar rows, producing a well-tended, readily accessible harvest. But the wind scatters some grains across indefinite distances. Because “the wind blows wherever it pleases” (John 3:8), a harvest may appear in unexpected places. Both Mel Sumrall and Tommy Nelson have labored faithfully to scatter the seed of God’s Word worldwide. However, the “Tommy Nelson High-Maintenance Award” is a standing joke among the DBC missions staff. It seems Tommy’s media recordings travel more adaptably than Tommy himself, sometimes miraculously so. Media ministry volunteers have all heard the stories, like the one about the scuba diver who brought a “Tommy tape” up from the deep. The diver successfully played back the dried-out cassette, accepted Christ, and contacted the church office for more! Since the early 90’s, when an already thriving DBC media ministry exploded with the original distribution of his Song of Solomon series, Tommy has crossed the continent (and the occasional ocean) to teach. By and large, however, God has seen fit to plant this Texas boy in his native soil while his recorded voice or video presence does the globetrotting. Mel & Patty Sumrall, on the other hand, have done so much in-person globetrotting that at one point their accumulated frequent flyer miles on just one of several airlines could have taken them both around the world five times. Whenever the Sumralls packed for a missions trip, they took with them DBC’s root precepts: discipleship and equipping believers for ministry. Mel first saw a global need for these precepts at a 1988 Campus Crusade for Christ meeting in the Philippines. There he heard the late Bill Bright present his vision to evangelize the world by the year 2000. “Bill Bright was probably the most single-minded man I ever met,” Mel declares. The dynamic CCC founder challenged his listeners to start a million churches worldwide and Mel recalls, “My antenna went up.” He stood and asked Bright who would train pastors to teach and preach effectively and bring all those new believers to maturity in Christ. Bright acknowledged he had no answer. New believers may mistake anything labeled “Christian” for truth, leaving them vulnerable to cults and heresies. Scripture is essential to a believer, yet, in many parts of the world, illiteracy is an obstacle, especially among women, who in some cultures are not taught to read. Oral cultures still exist, those with no written language, although groups such as the Wycliffe Bible translators have worked for decades to learn, transcribe and teach local dialects, eventually making the Bible available to such cultures. For those who do read, Bibles and Christian materials may be scarce in their language or even illegal. In all these circumstances, a well-trained pastor or leader, especially one native to a congregation’s language and culture, is quite literally a godsend. His early travels showed Mel firsthand the desperate need for pastoral and leadership training. “We were teaching a group of pastors out in Katmandu, Nepal,” he reminisces. “I happened to mention the Second Coming (of Christ) and a hand went up.” The interpreter stopped Mel to hear the question, and then reported none of the pastors present had ever heard of this. Pastors of large congregations often lacked even the most basic information. In some cultures Mel had to teach from I Timothy concerning a pastor or a deacon being the husband of one wife, because he met church leaders who had harems. He recalls with rueful tenderness the Asian pastor who read “Four Spiritual Laws” (a Campus Crusade for Christ tract) as a wedding ceremony; it was the only Christian document the man knew. He describes 200 native pastors, at a conference in Bangladesh during rainy season, wrapping their Bibles, rather than themselves, in raincoats as they left shelter. Mel had given them the Bibles after he learned none of them had ever owned one. LeBoutillier introduced Mel to his own pastor, Randy Gardner, who led him to Dennis Mock, a Dallas Theological Seminary graduate then on staff at First Baptist, Atlanta, with Pastor Charles Stanley. Stanley had offered Dennis two years’ salary to write a training program for African church pastors and leaders, so he compiled his seminary class notes into a 10-book set of materials and started a Bible Training Center for Pastors (BTCP) in several areas of Africa. Dennis was in Mombasa, Kenya, when Mel first tried to reach him. It took several calls, but Mel characteristically persisted. Mel chuckles to recall Dennis’ initial impression of him: “This crazy guy is calling me every four hours!” In the following years, that “crazy guy” not only scattered the seeds of a BTCP movement in dozens of countries, he also planted them at home. Mexico missionary Paul Lambert is an alumnus of the first BTCP class at DBC. “Man, it was like a brotherhood!” he exclaims, recalling ten eager young men gathered for the first lecture from “Daddy Mel.” Mel informed them solemnly that they were a test case. “No pressure,” Paul laughs, “but he said, ‘If you guys mess up, we’ll just forget the whole thing.’ We were pretty scared!” Apparently nobody failed, since all ten are in full-time ministry and BTCP classes continue, at home in Denton and worldwide. The Sumralls’ own ministry teamwork encouraged unity between native pastors and their wives. While Mel encouraged and taught pastors, Patty taught their wives. When pastors overseas saw the Titus 2 women’s study written by DBC women’s ministry leaders Barbara McGee and Marchetta Strader, they requested the study for the women of their congregations. Ethel Davidge, another leader with a passionate heart for missions, gathered helpers to adapt the study for cross-cultural contexts. Their work launched Titus 2 International, with the study translated into a growing number of languages. DBC’s world-wide women’s outreach continues with Titus 2 and now also includes the training and support groups of Bible Training for Christian Leaders (BTCL, a training program for women later created from eight of Dr. Mock’s ten BTCP courses, with appropriate supplemental materials), Women Serving God and Missions Women. For 13 years, the Sumralls scattered the seed of God’s Word worldwide. Mel (and men who took the fatal step of having lunch with Mel) taught BTCP classes, while Patty taught Titus 2. DBC elders and leaders began taking groups on short-term missions trips to teach, evangelize and encourage in one of the forty countries where the Sumralls had pioneered. (At one point in DBC’s organizational history, every elder had been on a mission trip, and each man had responsibility for part of DBC’s world-wide outreach). And all those laborers God had scattered like seed across indefinite distances returned telling of unexpected and bountiful harvests. Mel and Patty Sumrall are lovers. They treasure a video recording of a tender moment from their mid-80s trip to Israel, where Mel visited a university. Tommy Nelson was also in the area taking a three-week study course. Mel, deciding to surprise his sweetheart, made secret arrangements with Tommy and told Patty, “Honey, you need to get a new dress.” Patty had packed what she thought were adequate clothes for the trip so she was a little surprised, but happy to comply. Arrayed in her new outfit, she boarded a bus with Mel for a “sightseeing tour.” The bus went to Cana of Galilee, where Jesus blessed a wedding by turning water to wine. At the site tradition recognizes, with Tommy officiating, Mel and Patty renewed their vows to celebrate their 40th wedding anniversary. Now, after more than six 6 decades of marriage, their home still enfolds visitors in an atmosphere of peace, kindness and trust. At our first interview about his and DBC’s history, Mel greeted me at the door with a question: “Doesn’t my sweetheart look lovely today?” Patty’s sky-blue outfit and tiny sapphire earrings made her blue eyes sparkle, and the light in those eyes, like the warmth in his voice, told me something profound and ageless about love. Together, these two have poured out the love of Christ, planting and watering a harvest that spans the continents. If you get close to them, the love they share spills over on you. Even now, as age has slowed their pace, their heart is to know Christ and make Him known, involving as many people as possible in the greatest love story of all time, the love of God for people. Their love affair with the Lord has been an adventure. They’ve experienced enough excitement, stress, joy, defeat, climate change, triumph, travel, strange food, challenge, danger, bizarre living quarters, fun, and literal as well as spiritual peaks and valleys to wear out a couple half their age. Just hearing them recount some of their past airplane trips makes you marvel at their faith. A BTCP class of Quichua tribesmen in Ecuador heard Mel speak at their graduation and before the Sumralls left the country, a pilot flew them over the beach where missionary Jim Elliot and his companions were martyred. The plane skimmed so near the river’s surface Mel declares he could have scooped up water. The pilot also showed them the village where Elliot’s widow Elizabeth and daughter Rachel lived among the Auca tribesmen, unforgettably demonstrating forgiveness with their lives. As Mel and Patty later boarded an airline flight, their animated discussion of Elizabeth’s book, Through Gates of Splendor, attracted the attention of a fellow passenger. When the man spoke to them, they discovered he was the son of one of the martyred men, Roger Youderian. Mel and Patty have stood on the Great Wall of China, seen the grave of William Carey, the “father of modern missions,” and visited the university Carey founded in Serampore, India. They met and were photographed with Mother Theresa and saw her at work. But most importantly, they’ve seen God at work in His world and are privileged to be His tools. The Sumralls still faithfully attend DBC. Mel takes tender care of his sweetheart and together they keep track of various young churches, some in Texas, some in Patty’s home state of Colorado. (Mel, who has been known to fish for more than men, was once accused of encouraging domestic church plants where the fly fishing is particularly good!) So many years of passionate service to Christ create a hard habit to break. Though they don’t go overseas anymore, their door is open and their phones (especially Mel’s cell) are seldom silent. Mel counsels young pastors and missionaries, praying with them through troubled times and rejoicing with them in good times. Seated in the Sumrall’s unpretentious living room after going with them out to dinner (and yes, knowing the typical results of a meal with Mel, I was nervous! ), my husband and I listened to Mel share his heart. Patty put in a word now and again, her soft hair lit by lamplight, her eyes never leaving Mel’s face. It is always the same: The fields are white and the laborers few; the adventure isn’t over, so why should God’s people want to merely exist when they could really live? Mel prays for new generations to seek God’s will, put themselves in His hands and step out on faith to impact their world. “If I could put a title on my life,” Mel once declared, “it would be something like, ‘What God can do with someone who’s willing to follow Him’.” What title could be written over your life, or mine? 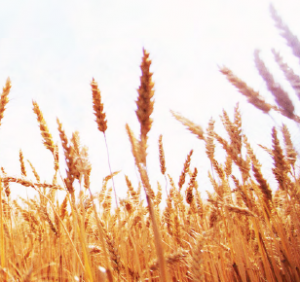 The adventure of the Lord’s harvest continues. The fields are white. Mel Sumrall started Denton Bible Church with 14 other Christians. Soon there were 50 people meeting at the Optimist Gym every Sunday. Tom Nelson joined Mel as an Associate Pastor. The growing church moved to Camp Copass, a small church camp on the east side of Denton. 3.3 acres of land is purchased on University Drive and construction of a sanctuary (now the Sumrall Center) begins. On Easter Sunday, the first service in the Sumrall Center is held and attendance grows to 150. Learning Center I is constructed. Attendance grows to over 500. The Administrator and Christian Education Director begin, and Mel Sumrall begins the Missions Department. Denton Community Church is planted as DBC goes to two services. Attendance grows to 694 adults, and DBC moves to three services. A Youth Pastor is hired and starts a Youth Group with 8 students. Attendance is 1049 adults and 316 children. College and International Student Ministry Directors begin, and additional Missions staff is added. Attendance is 1363 adults and DBC moves to four services. Vision Ministries and Junior High Ministry begin. New sanctuary is completed and attendance jumps to 1853 adults and 411 children. Women’s Ministry Director, Singles’ Ministry Director, and additional College Ministry staff are hired. Attendance grows to 2208 adults and 487 children. Small Groups and Facilities Directors begin, as well as additional College and Missions staff. Attendance grows to 2411 adults and 542 children. Hanger is built. Lay Institute, Inner City Outreach, and Young Adults/Young Marrieds Directors begin, along with an assistant to the Pastor. New/additional staff in College, Junior High, and Missions. Attendance grows to 2525 adults and 602 children. Financial and CrossRoads Directors begin, along with new/additional staff in Facilities and College. Learning Center II is built, and “The Cup” opens to serve the UNT campus. Attendance grows to 2922 adults and 653 children. Membership, Evangelism, Pastoral Care, and Counseling Directors and Worship Leader begin. New/Additional staff in Young Marrieds, Women’s Ministries, Administration and Facilities is added. Attendance increases to 3469 and a fourth Sunday service is added. New Modular Classrooms and Facilities Shed are added. SWEAT Teams, Missionary Training Institute, Women’s Discipleship Program & Women’s Directors begin. New/Additional staff in High School, CrossRoads, and Administration begin. Moved into a newly constructed 3500-seat sanctuary and children’s learning center.